Method delivers the best in Moen pullout functionality --including our Reflex secure docking system and Power Clean spray -- in a style that feels at home in any contemporary kitchen. 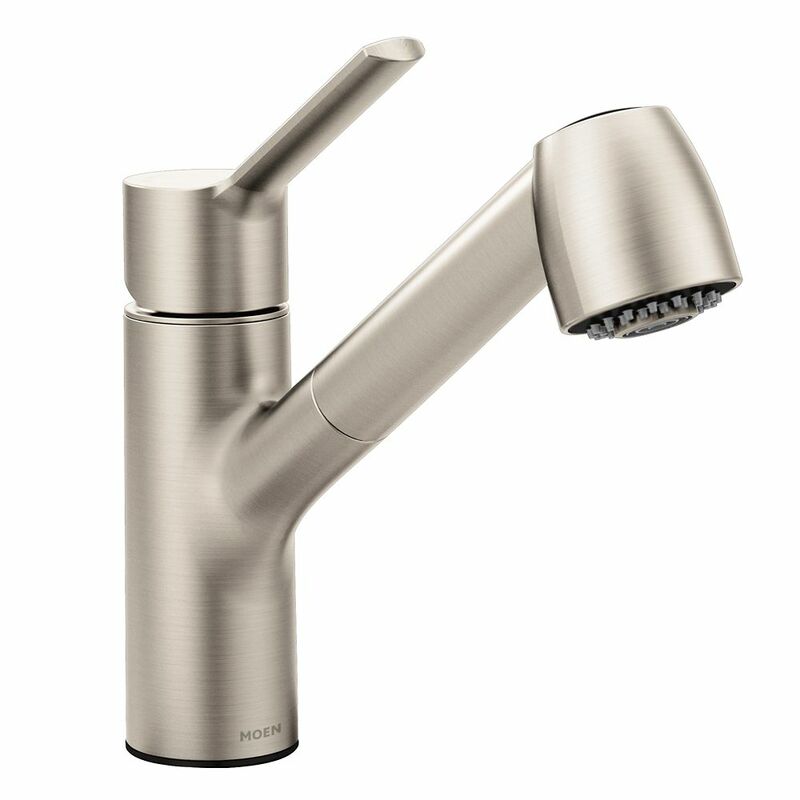 The MOEN Arbor Single-Handle Pull-Down Sprayer Kitchen Faucet in Spot Resist Stainless offers extended versatility without the need for a separate side spray. It features MotionSense technology that activates the water flow with simple hand movements. Accomplish routine tasks with greater speed and efficiency with this convenient, hands-free control. The Belfield kitchen collection features traditional style that's anything but ordinary. Multiple handle and finish options add a personalized touch, while Williamsburg-era details and intricate design cues give each faucet a timeless look. Chrome finish is highly reflective for a mirror-like look that works with any decorating style. Method Spot Resist Stainless One-Handle Pullout Kitchen Faucet Method delivers the best in Moen pullout functionality --including our Reflex secure docking system and Power Clean spray -- in a style that feels at home in any contemporary kitchen.